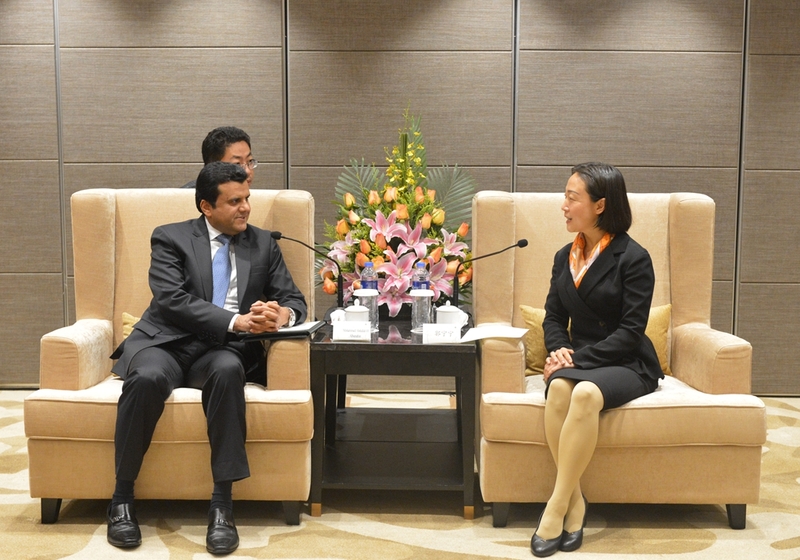 On December 25, Vice Governor Guo Ningning met with Consul General of Saudi Arabia in Guangzhou, Mohammed Abdullah H. Alburaithin and his delegation. On behalf of the provincial government, Vice Governor Guo welcomed the guests for their first visit, and gave them an update on the latest economic and social development of Fujian Province. She set out that Fujian and the Kingdom of Saudi Arabia have time-honored cultural exchanges, frequent economic and trade interactions and highly complementary industries. Recent years have seen growing bilateral trade two-way investment.Saudi Arabia is an important partner for the Belt and Road Initiative. Fujian will play an active part in aligning the Initiative with Saudi 2030 Vision, and looks forward to working with the Consulate General to expand practical cooperation in areas including petrochemical, science and technology, tourism, people-to-people and cultural exchange as well as sister-province relationship, delivering tangible benefits to the two peoples. Consul General Alburaithin said that Saudi Arabia values cooperation with Fujian, a frontier province of China’s reform and opening up with developed information technology, machinery and equipment manufacturing industries. The Consulate-General is ready to seek mutually beneficial cooperation between Saudi Arabia and Fujian, especially explore the cooperation potential in tourism. During his stay in Fujian, Consul General Alburaithin also had talks with the Provincial Department of Commerce and Fuzhou Municipal Government, and visited NetDragon Websoft Inc.